From its humble beginnings in the height of B&O's steam era to today's era of modern technology, the names and faces have changed, but the "Shops in Cumberland" haven't missed a beat! 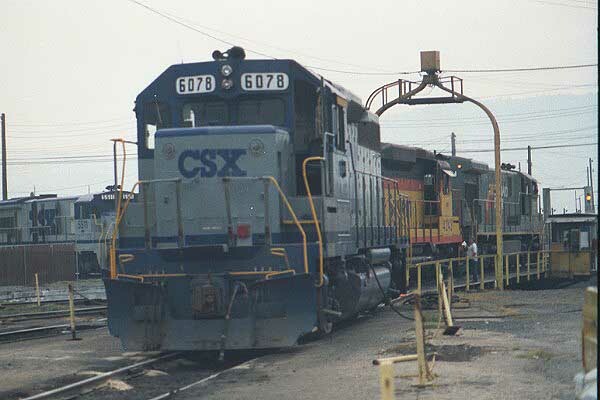 Conrail lines have brought a major increase in line traffic through Cumberland. 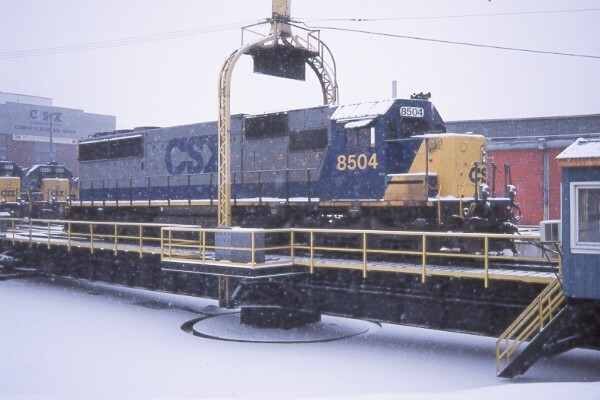 CSX has nowupgraded the facility recently to deal with the increase in traffic by laying new yard tracks, purchase of new machines, tools, ect. and has hired many new employees as well. Again, changes are well under way for Cumberland's shops. One fact remains regarding this historic place: The names and faces have changed, but the "CSX shops in Cumberland haven't missed a beat". shop for a short period of time to modernize and upgrade. 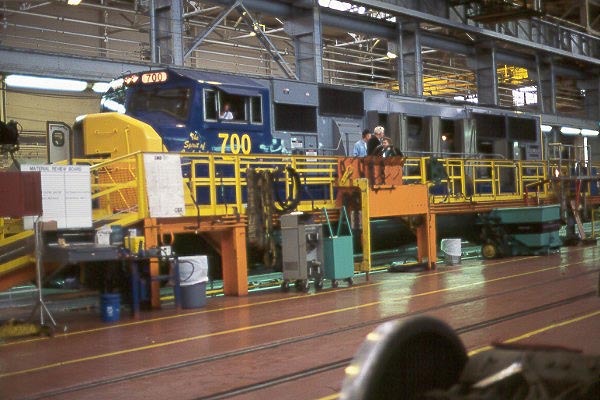 This was done to retool, buy and custom make machines and equipment to repair and service B&O's growing fleet of first generation diesel locomotives. 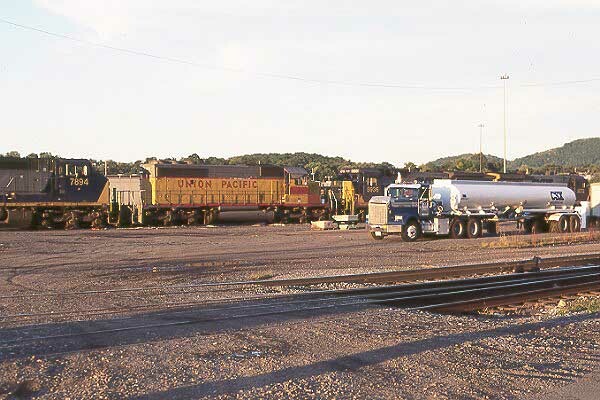 After completion, Cumberland shops was now B&Os premier heavy repair facility for diesel locomotives. 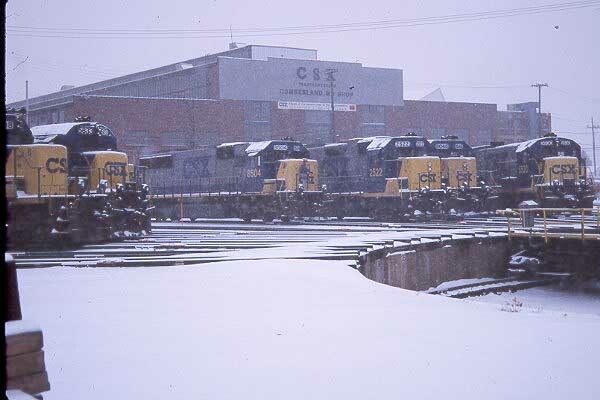 Chessie's large fleet of EMDs at Cumberland, Md. 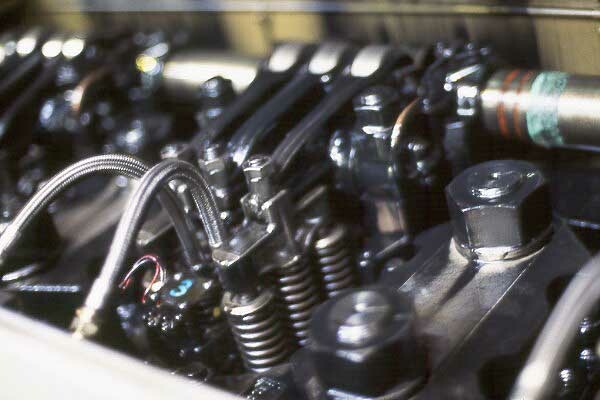 Anything repairable was brought to Cumberland, no job was toobig or too small, with much work like, prime mover rebuilds, power assemblies, traction motors, generators, alternators, turbos, wheels turned and trued and all phases of repairs and replacements. Cumberland also painted locomotives as the were changed over from B&O, C&O and Western Maryland. 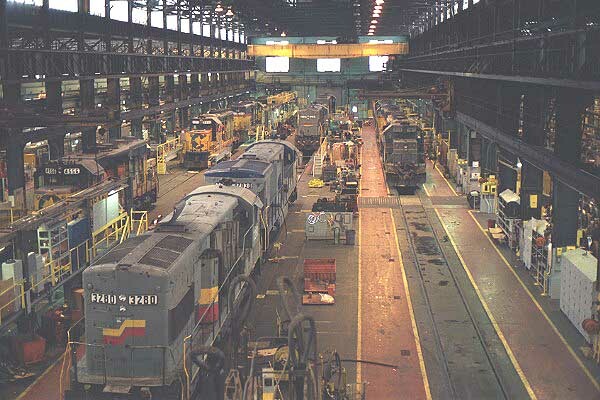 Running Repair Facility in the mid 1980s. This meaning, Cumberland would only perform light to medium repairs (including power assemblies, turbos, generators, alternators, traction motors, trucks, brakes,anything cosmetic etc. ).FRA 45 and 92 day (Q) inspections as well as turnaround service (fueling, sanding, inspecting and general service) of road locomotives. 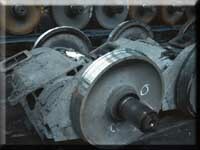 Cumberland would no longer be essentially rebuilding any locomotives as it had for over 70 gracious years. 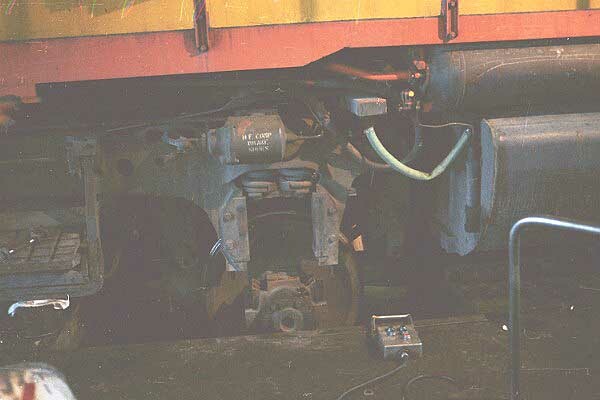 ready track and equipment in early 1990 for service (fueling, sanding, etc.) and inspections for line of the road locomotives. CSX built and covered structure for inspection where locomotives are fueled, sanded then pulled to the turntable to turn into the huge shop, round house or back to line of road. 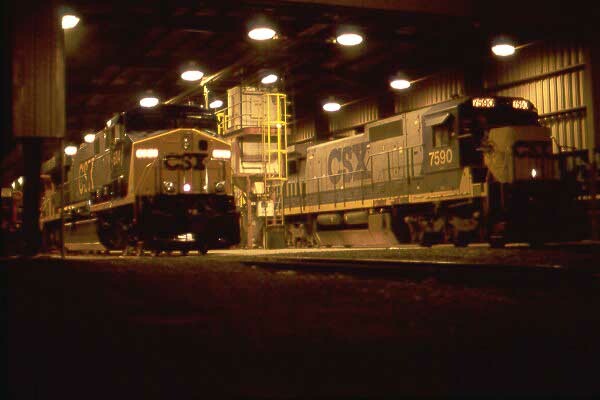 Cumberland is a vital part of the CSX system. With many new trains in, out and through Cumberland, courtesy of the recent Conrail acquisition, the future looks bright for the facility. The "Center Bay" consist of 3 through tracks, with capacity for 18 locomotives. 1 fifty(50) ton "Full Truck Drop Table" with single wheel capablility. 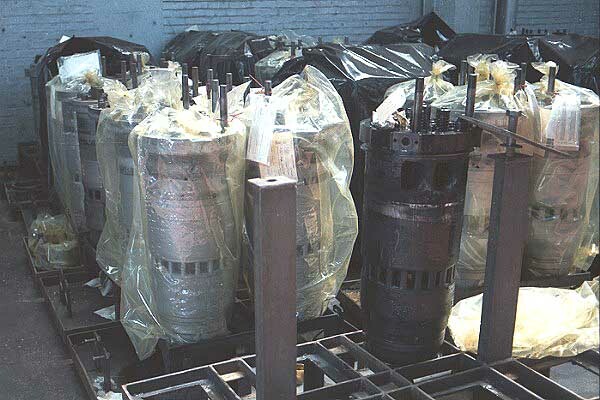 1 fifty (50) ton "Full Drop Table", non releasing "center castings only". 1 ten (10) ton "Traction Motor Drop Table" for single wheels, 3 five (5) ton "Cantilever Cranes" 2 one houndred (100) ton Cranes with fifteen (15 ton Auxiliary Hoist. 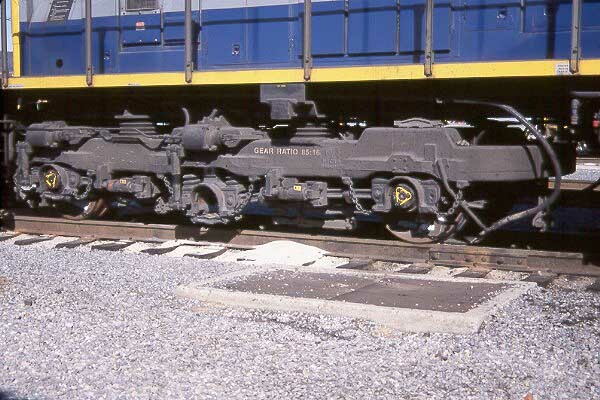 The "North Bay" has 1 thirty(30) ton crane, and 1 locomotive Wheel Truer. The "South Bay" has 1 Fifteen(15) ton crane, 2 short tracks, has capacity for two (2) locomotive, and traction motor storage. 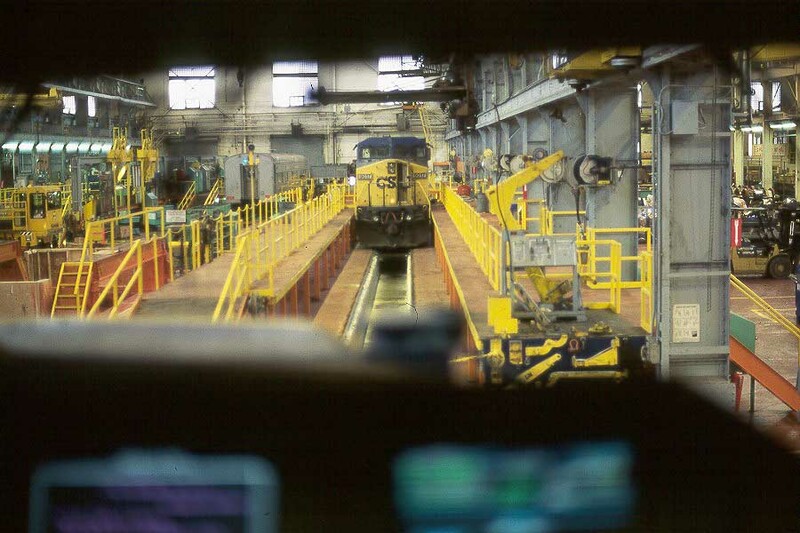 Production average for Cumberland is 300 "Q" shops, and 300 fallout locomotives per month. 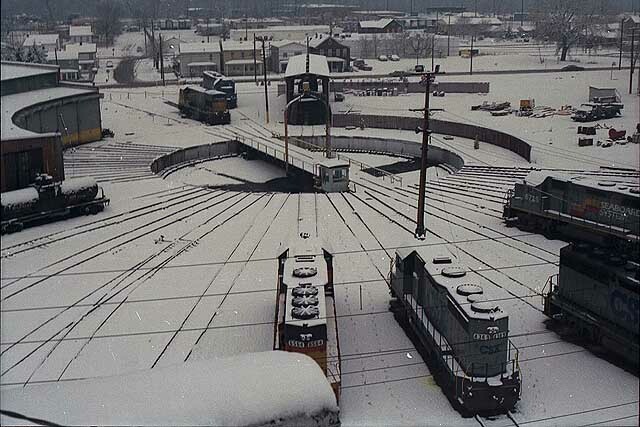 CSX Cumberland Round House consist of 2 "locomotive pre inspection pits (stall 7 and 8) static inspection completed on designated locomotives. 2 locomotive wash pits (9 and 10), car body, cab, engine, and trucks are washed and 1 single wheel drop table, and 3 quick service pits. The New $7.2 million, "Service Center" This state of the art center, was opened for service in 1996 with 3 inbound tracks with unilateral turn out & electric/pneumatic remote derails, 2 service tracks inside a 60'x300' building, with 12 fueling masts, 5 sanding stations, 4 servicecabinets equipped with oil & water, 1 retention tank drain system. and 2 outbound tracks with unilateral turn out & electric/ pneumatic remote derails. 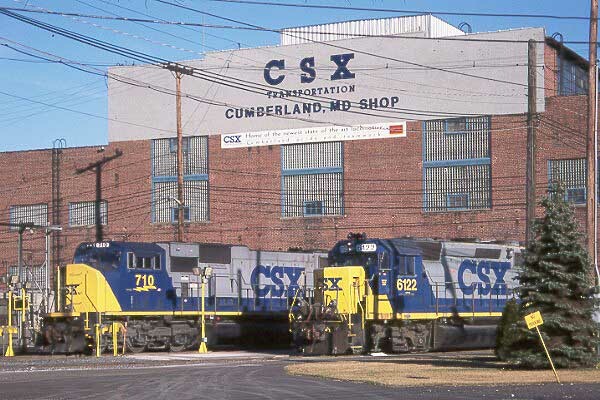 CSX has spent millions of dollars on Cumberland to upgrade the facility. 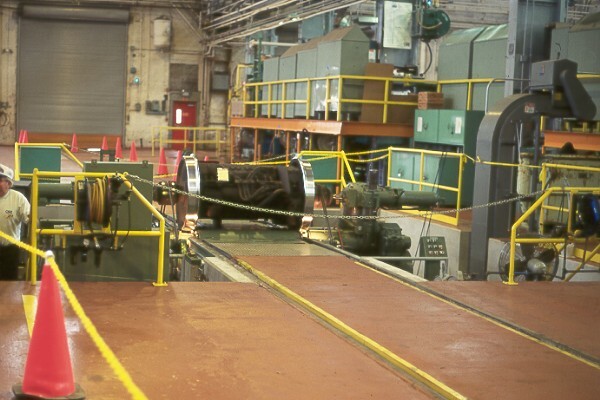 In 1996, $130,000 to relocated the preinspection site & equip with a vibration monitoring equipment. 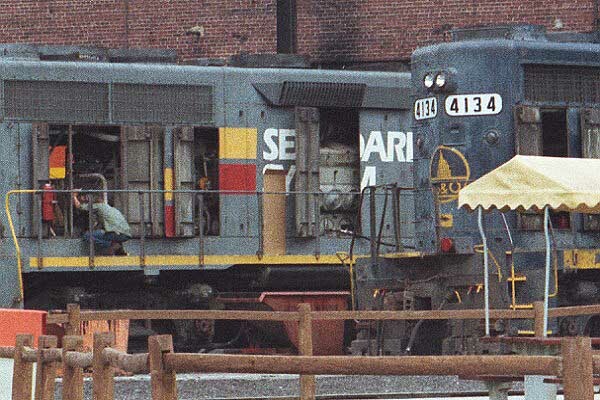 In 1997, CSX extended and deeped, the the roundhouse no.7 pit at a cost of $90,000, and spent $80,000 for improvedments to the main shop parking lot. In 1998, $1.2 million Relocate wheel truer machine and completely rebuild machine with computer controls. CSX built the new service center, with a cost of $7.2 million. Misc, projects jumped the Total capital improvements over 3 year period to a sum exceeding $10 million. $226,000 was used to recess and improve pit East End T-3 in the Main shop. $40,000 improvement to out side pad East End T-3 main shop. 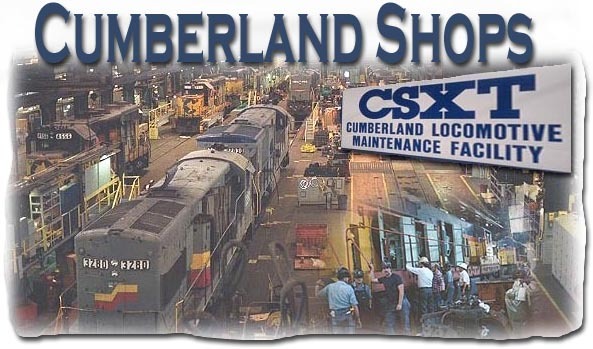 Employees working in the Cumberland shop consist of Managers, machinist, electricians, pipefitters, carmen, boiler makers, laborers, and clerks. 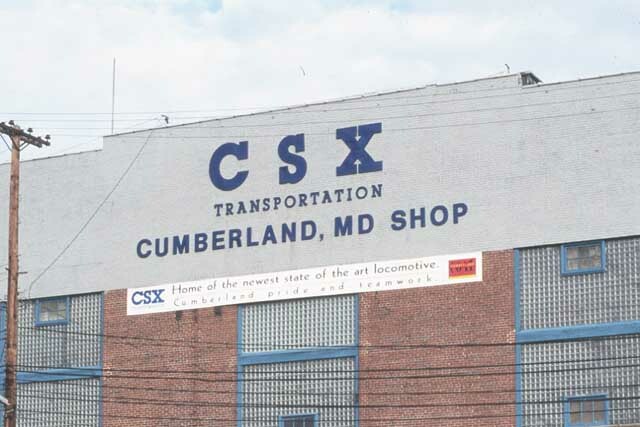 With the Conrail acquistion the CSX Cumberland shops will hire 70 new employees. 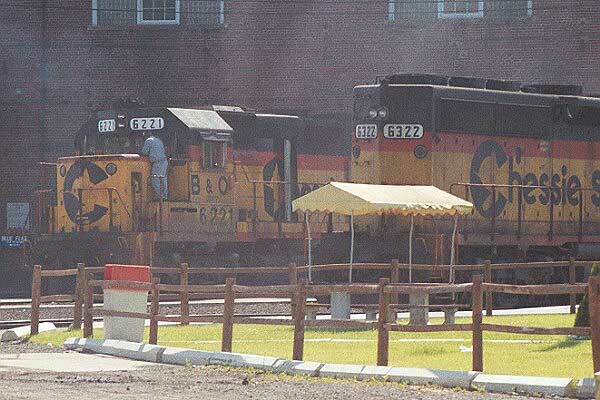 Locomotives' assigned to Cubmerland before the CR merger was 825 locomotives, after June 1,1999, 1063 locomotives are assigned to Cumberland. Simply place mouse pointer over image to see photo caption, then click image to enlarge! All Photos by Denny Fisher!